Nearly 68 million Americans have high blood pressure, according to the U.S. Centers for Disease Control and Prevention. 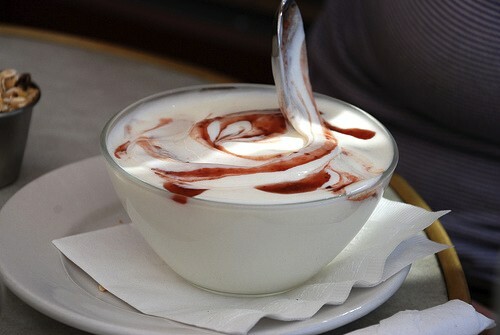 If you’re a regular low-fat yogurt eater, some new research shows it may help lower your risk of the chronic condition. More than 2,100 adults presented at the American Heart Association’s High Blood Pressure Research 2012 Scientific Sessions were studied over 15 years, leading to the discovery that those who regularly ate low-fat yogurt were 31% less likely to develop high blood pressure than those who ate less. Weight, blood pressure medications, and lifestyle factors (including diet) did not affect the results of the study. However, researchers are still cautioning that while there appears to be a link between low-fat yogurt and blood pressure, it does not prove that yogurt will actually cause blood pressure levels to decrease. It is high in protein, calcium, potassium, and magnesium, important nutrients that are linked to blood pressure and underconsumed by the average American. According to Lona Sandon, assistant professor of clinical nutrition at the University of Texas Southwestern Medical Center, low-fat dairy foods in a healthy diet are great for helping to manage blood pressure. “The Dash studies published over a decade ago showed that a healthy diet pattern that included lots of fruits, vegetables, three low-fat dairy servings per day and limited saturated fat along with a moderate sodium intake was effective for lowering blood pressure,” she said. Of course, the key to all of this is moderation. The researchers are saying six ounces of yogurt every three days or so is sufficient, and regular snacking on the calcium and protein-filled treat aids in bone health and keeps you feeling fuller longer. Be sure to read the labels when picking a yogurt, it’s easy to find something that sounds healthy only to find it’s unexpectedly loaded in saturated fat, sugar, and artificial flavoring. If you haven’t tried the Chobani greek yogurt cups with added fruit, they’re delicious, low in fat, and perfect to pack in a healthy lunch for work. Do you eat low-fat yogurt? What is your favorite brand?